With over 12,000 jurisdictions in the U.S. and hundreds of thousands of rule changes annually, sales tax is a moving target in the best of times. Managing sales tax accurately requires a level of expertise many companies simply don’t possess. And 2015 is shaping up to be an even thornier year for sales tax compliance. In addition to the usual suspects—constantly shifting nexus rules, product and service taxability changes, etc.—states are working even harder to capture untapped sales tax revenue in 2015. One place they’re looking is the cloud. Take software, for example. As computer technology has expanded from hardware to software to SaaS (software as a service), more companies are transferring data and operations to the Internet. While states have historically lagged behind with applicable sales tax rules, that is beginning to change. New Jersey taxes most cloud services and software, whereas Michigan has courts ruling to leave them non-taxable but a department of revenue that says otherwise. Have a compass and a crystal ball? Hope so. How states define cloud services is even more complicated. Tennessee considers web conferencing a taxable cloud service. 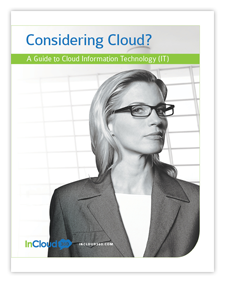 Idaho recently defined cloud-based software as only software that is delivered electronically. In Vermont, custom SaaS software is tax-exempt, whereas out-of-the-box software is subject to tax. This is the tip of the iceberg when it comes to sales tax in the cloud. Be sure to check changes rules and rates by contacting the applicable departments of revenue. Or automate it and eliminate worry. Learn more by reading the 2015 Sales Tax Survival Guide.